Bestselling author's blueprint for attracting and engaging top talent to beat the competition in today's ever-evolving business environment. The Future Workplace Experience redefines most of the conventional wisdom about work, employees, human resources practices, the very nature of a job itself, and so much more. Meister & Mulcahy describe how the workplace is changing and profile the new practices organizations are implementing. The authors organize these practices into three areas; what workers expect from work, how technology impacts the workplace, and the changing composition of the workforce. 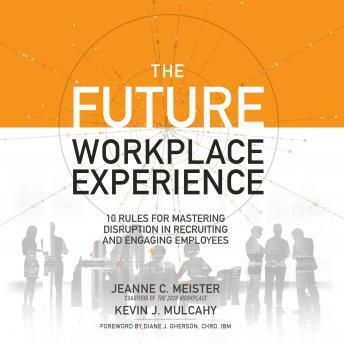 Most importantly, they synthesize these practices into ten rules your organization can use to re-think and re-imagine the future workplace.